In addition, the rule proposes routine updates to the HH PPS payment rates such as updating the payment rates by the HH PPS payment update percentage and updating the home health wage index for 2014. To qualify for the Medicare home health benefit, a Medicare beneficiary must be under the care of a physician, have an intermittent need for skilled nursing care, or need physical therapy, speech -language pathology, or continue to need occupational therapy. 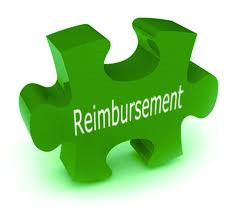 The beneficiary must be homebound and receive home health services from a Medicare approved home health agency (HHA). Medicare pays home health agencies through a prospective payment system that pays higher rates for services furnished to beneficiaries with greater needs. Payment rates are based on relevant data from patient assessments conducted by clinicians as currently required for all Medicare-participating home health agencies. Home health payment rates are updated annually by the home health payment update percentage. The payment update percentage is based, in part, on the home health market basket, which measures inflation in the prices of an appropriate mix of goods and services included in home health services. The proposed rule would remove two categories of ICD-9-CM codes from the HH PPS Grouper: diagnosis codes that are too acute, meaning the condition could not be appropriately cared for in a home health setting; and diagnosis codes for conditions that would not impact the home health plan of care, or would not result in additional resources when providing home health services to the beneficiary. ICD-10-CM codes will be included in the HH PPS Grouper to be used starting on October 1, 2014. The new ICD-10-CM codes will replace the existing ICD-9-CM codes used to report medical diagnoses and inpatient procedures. The Affordable Care Act requires that beginning in CY 2014, CMS apply an adjustment to the national standardized 60-day episode rate and other applicable amounts to reflect factors such as changes in the number of visits in an episode, the mix of services in an episode, the level of intensity of services in an episode, the average cost of providing care per episode, and other relevant factors. Additionally, CMS must phase-in any adjustment over a four year period, in equal increments, not to exceed 3.5 percent of the amount (or amounts) in any given year, and be fully implemented by CY 2017. The rule proposes a reduction to the national, standardized 60-day episode rate of 3.5 percent in each year CY 2014 through CY 2017. The proposed national, standardized 60-day episode payment for CY 2014 is $2,860.20. This reduction primarily reflects the observed reduction in the number of visits per episode since establishment of the HH PPS in 2000. For episodes with four or fewer visits, Medicare pays on the basis of a national per-visit amount by discipline, referred to as a Low-Utilization Payment Adjustment (LUPA). The rule proposes an increase to each of the per-visit payment rates of 3.5 percent in each year CY 2014 through CY 2017 to account for changes in the costs of providing these services since the establishment of the HH PPS in 2000. Similar to the proposals for rebasing 60-day episodes and per-visit rates, this proposed rule would rebase the payment for NRS and update the LUPA add-on payment amount. The rule proposes a decrease in the NRS conversion factor of 2.58 percent in each year CY 2014 through CY 2017. In updating the LUPA add-on amount and proposing three LUPA add-on factors, LUPA add-on payments are estimated to increase by approximately 4.8 percent (using rebased per-visit amounts described above that were increased by 3.5 percent). The proposed rule would add two claims-based quality measures: (1) Rehospitalization During the First 30 Days of a Home Health Stay, and (2) Emergency Department Use Without Hospital Readmission during the first 30 days of Home Health. The proposed rehospitalization measures will allow HHAs to further target patients who entered home health after a hospitalization. In addition, this rule would reduce the number of home health quality measures currently reported to home health agencies to simplify their use for quality improvement activities. This proposed rule would ensure that Medicaid responsibilities for home health surveys are explicitly recognized in the State Medicaid Plan. CMS seeks comment on a methodology for calculating State Medicaid programs fair share of Home Health Agency surveys costs. For that portion of costs attributable to Medicare and Medicaid, we would assign 50 percent to Medicare and 50 percent to Medicaid, the same methodology that is used to allocate costs for dually-certified nursing homes. The proposed rule can be viewed: http://federalregister.gov/inspection.aspx. CMS will accept comments on the proposed rule until August 26, 2013.